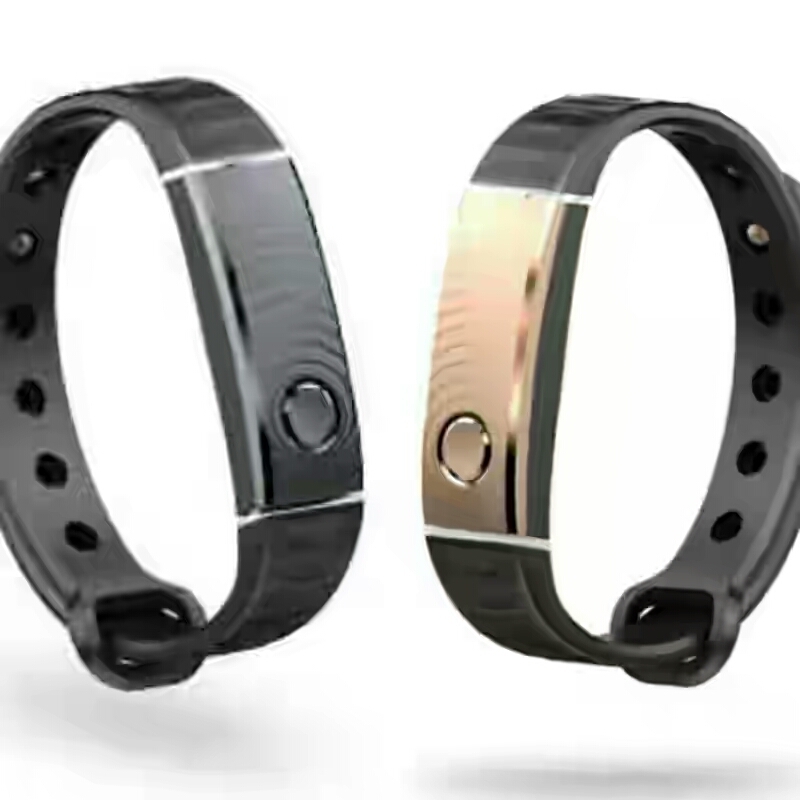 Tecno T-Band is a compatible smart bracelet that allow users to get in touch with their smartphone even when the phone id not physically with you; it allows you control your phone camera functions from as far as 10 meters away. It utilizes speedometer which counts your working steps. It also monitors your sleep, serves as call reminder and also sedentary. 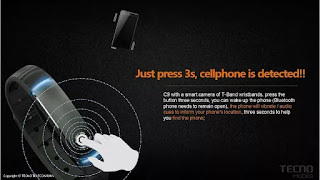 The T-Band is also a useful gadget to track your phone in case you misplace it. We started hearing about T-band after Tecno Camon C9 was launched with it. Camon C9 is the first smartphone to bring Iris Eye Recognition to local smartphone market across Africa. This Tecno smartphone is a camera centric device and features an octa-core processor alongside 2 GB of RAM and 16 GB internal storage. It comes with an amazing 13MP front and back camera with LED flash and ultramodern camera features. I have already published an Official Spec, Features and Price Of Tecno Camon C9 In addition to the Camon C9, you can check the article and see things for yourself. 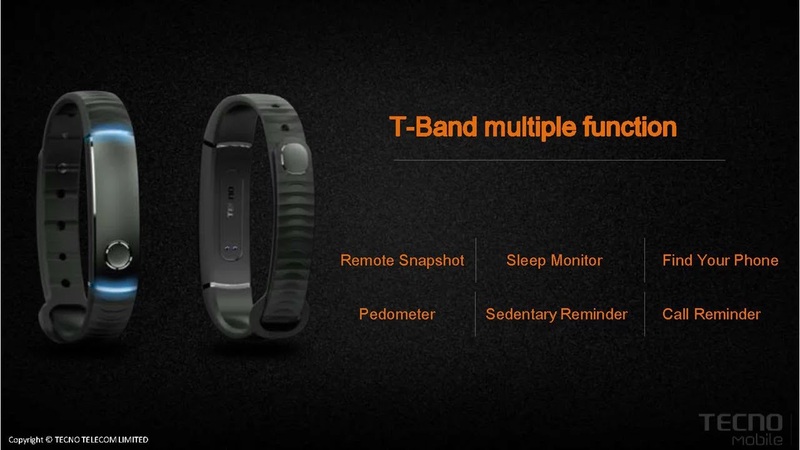 Alongside those amazing specs, Tecno also unveiled its first ever smartband gadget called "Tecno T.Band". So let's take a look at what T.band is all about and its functions. Just like smartwatch devices, this gadget notifies you of incoming calls, sms and other notifications on your phone. You can keep your phone at one end of the house or in your pocket and receive calls via the T-Band you wore on your wrist. Have you been in a situation you carelessly or mistakenly misplaced your mobile phone and you don't have any other option to locate it? Even if the phone is on silent mode, with the help of the T.Band, you can trace where the phone is. You just have to press the T-Band’s main button for three seconds. The phone will vibrate heavily and ring (if not in silent mode) to notify you where it is. The T-Band will also notify you whenever your phone is 10 meters away from you to keep it within your reach all time and secured. It also function the reverse way, in that the smartphone can notify you (with Ringing or vibration) if your T.Band is out of range, which even makes it easier to detect where your smartphone is immediately, because notification will be turned on on both your smartphone and your Smartband. Now this is awesome. Do you know you can capture pictures by just taping on the T.Band you are wearing on your wrist? Have you ever tried to take pictures with some of your friends with your camera and still want to appear in the photo, but no one around to help? Don't worry, with T-Band you can capture everyone including yourself. To do this, just place the smartphone in a good position with your friends well in range, and join your friends for the snapshot ( bearing in mind that range must not exceed 10 mitre), then just tap your T.Band to snap the picture and see wonders of technology. Have you ever thought about tracking the kilometers or how long you have walked? Have you thought about tracking your sleep, fitness etc? 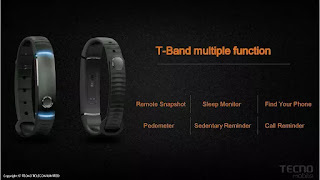 Tecno T-Band brings fitness and activity tracker to you just like some smartwatch does. Meanwhile, anything that have advantage also have disadvantages and Tecno T-Band is not an exemption because the use of the T.Band will undoubtedly drain your phone battery as it uses Bluetooth connection which drains battery if you always leave it activated. At the moment, there are just two color options which includes black and gold. It comes with Tecno Camon C9 straight from the box but hopefully, it will start selling separately as time goes on. So many nice and nifty features. I want one already. Waiting patiently for GIONEE to come up with something of this same nature.